Arts in April, a celebration of art and community hosted by the Arts Council Napa Valley, is in its sixth year, and the size and impact of the event has grown tremendously, "from 42 in 2014 to over 80 this year," says Arts in April producer Danielle Smith. The festivities began on April 1. 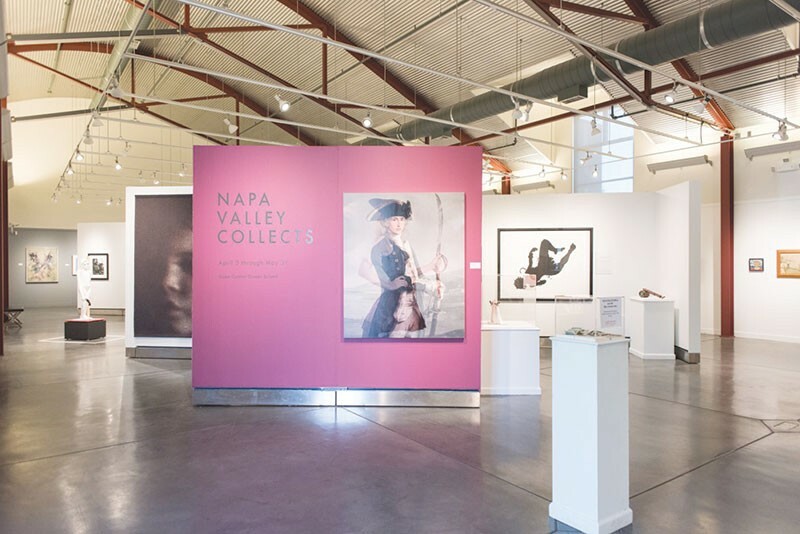 On April 7, Arts in April collaborates with the Napa Valley Museum for the exhibit "Napa Valley Collects," which showcases and gives access to personal art collections from the area. The Arts in April selection committee will spotlight 25 artists throughout the month. Local artists from Napa and the Bay Area will be featured alongside international artists in events ranging from fine art exhibitions at posh wineries to poetry readings in driveways. On the closing weekend, April 30–May 1, 30 exhibitors will create and display their work in a facility in Calistoga. "Napa Valley Collects" opens with a reception on Thursday, April 7, at the Napa Valley Museum, 55 Presidents Circle, Yountville. 5pm. $10–$20. 707.944.0500. For more information, visit www.artscouncilnapavalley.org.